When I was working at TripAdvisor we had this internal book club. We started by reading Effective Java, this very famous book from Joshua Bloch. It is interesting and all but I think this book was so successful that most of his advices are now part of the Java culture: most of Java developers know them and sort of apply them. 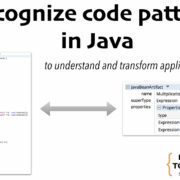 The point is that these advices, while very reasonable, are not consistently applied in large codebases. 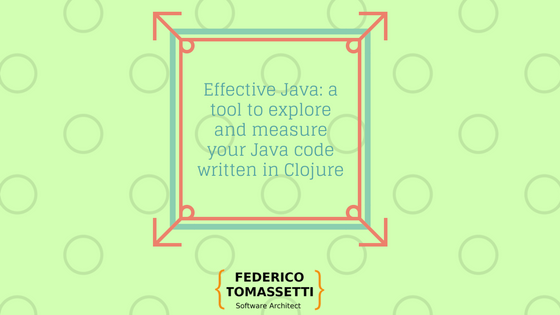 For this reason I decided I wanted to create a tool to verify that our codebase (which was… big) was actually adopting the suggestions from the book, so I started writing a tool named Effective Java and I started writing it in Clojure. At this point you can look at this code and decide which parts you should refactor to improve the quality of your code. I think that the only way that works when dealing with a large codebase is to consistently improve it with an infinite patience and love. I find very useful to have some way to narrow your focus on something actionable (e.g., one single class or one single method) because if you stop and stare at the whole codebase you will just leave in despair and become a monk somewhere far, far away from classes 10K of lines long or constructors taking 20 parameters. When faced with such a daunting task you should not think, you should instead find one single problem and fix it. One way to focus is having someone finding issues for you. 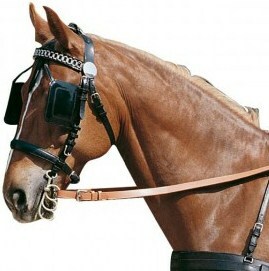 Let a tool be your blinkers. 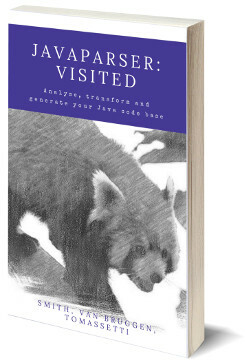 Another reason for the limited number of queries is that I am currently using JavaParser to build a model of the parsed code. While it is a great tool (not saying this because I am a contributor to the project…:D) it is not able to resolve symbols. On one hand it means less configuration for the user but it limits the kind of analysis which is possible to do. 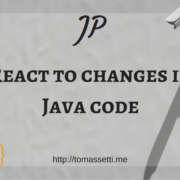 Things could change in the future because JavaParser is evolving to support this kind of analysis (update: not it does). I could also switch to use other tools like JaMoPP or MoDisco. Such tools are definitely more complex and less lightweight but it could be worthy to take a closer look to them. Ideally we want a tool which both parse source code and it is also able to build a model for compiled code (to consider our dependencies). Such tools should be able to integrate the different type of models performing analysis on the resulting megamodel. 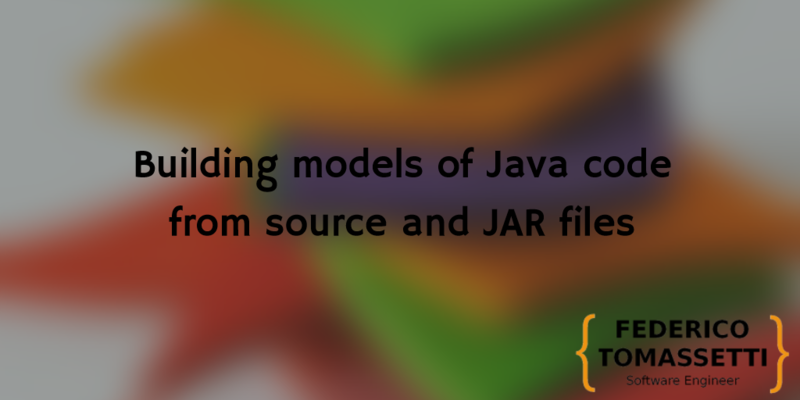 So the model obtained by parsing a Java file could have references to the model obtained by analyzing a Jar. 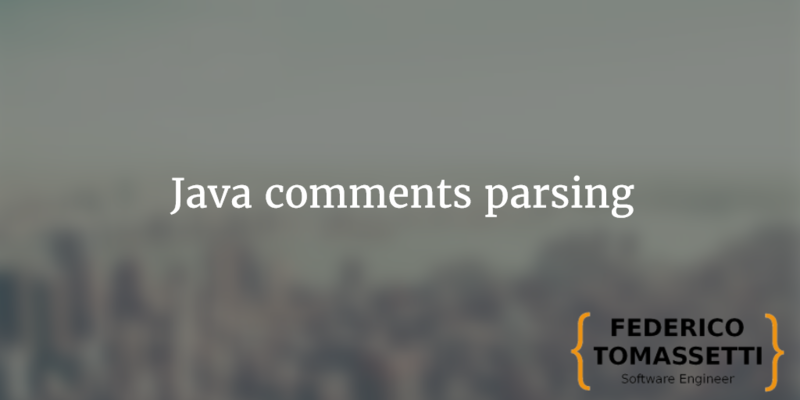 It is the kind of things which require some work and building a parser it is just a fraction of the effort. Please note that EffectiveJava does not do syntax highlighting: it is the widget I am using to show the code (what a dirty trick, eh?). 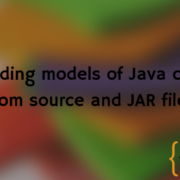 An operation takes the actual query to execute on the model of the code, the params (such as the thresholds to be used), and the headers of the table to be produced. "<COMMAND> = HELP | EXIT | LOAD | LIST | MC \n"
"HELP = 'help' | 'h' \n"
"EXIT = 'exit' | 'quit' | 'q' \n"
"LOAD = 'load' <WS> STR \n"
"MC = ('mc'|'many-constructors') <WS> 'th' <WS> NUM \n"
"WS = #'[\t ]+' \n"
We have then just a loop passing in the state the list of loaded classes. There is then some code to interface the tool with Javaparser but you are lucky: I am not going to bore you with that. 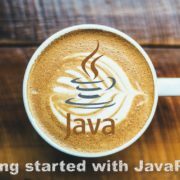 If you are interested feel free to write to me: I like helping out and I like Javaparser so I am very happy to answer all of your questions about it. The idea of building tools to explore codebases is something has fascinated me for a while. During my PhD I have built some tools in that general area, for example CodeModels, which wraps several parsers for several languages and permit to perform cross-language analysis. What do you think? 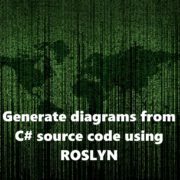 Is it worthy to spend some more time on this tool? Would you like to use something like this? 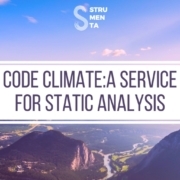 What are your strategy for static analysis? I’m currently reading the book too and have been thinking about implementing these ideas too! While this would be an exciting challenge to solve with writing code, I was wondering if some ideas have not already been implemented by static analysis tools. PMD has implemented rules like Use NotifyAll Instead Of Notify and Non ThreadSafe Singleton. You’re asking if it’s ok for you to spend more time on this. It depends on what your goals are; this would be a nice technical challenge. Otherwise, let’s all profit from tools that others have already built! Hi Jeshan, thank you for your comment! 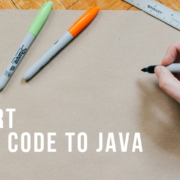 I guess that there are other linters for Java out there but with effectivejava I would like to build a tool to interactively explore your code and play with different thresholds. 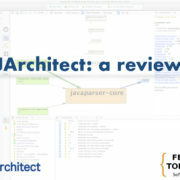 In addition to that not all the checks described in effectivejava are implemented in other static analysis tools. But yes, you are true, there is some overlapping with other projects. Looks cool, I really like the idea of a code-explorer for navigating a large unknown codebase! For the purpose of “finding where to start” or “finding the worst parts” how about adding a scoring system… like too many constructors is -5 and too many parameters is worth -3. Then we could sort files by the weights of problems or only look at files above a threshold. This is actually a very cool idea! I added it in our backlog (https://github.com/ftomassetti/effectivejava/issues/67). Thanks!